Mastering a foreign language can take years of effort, but a new gadget can help ease the labor. The instant-translation device unveiled at the recently concluded Boao Forum has amazed many users. 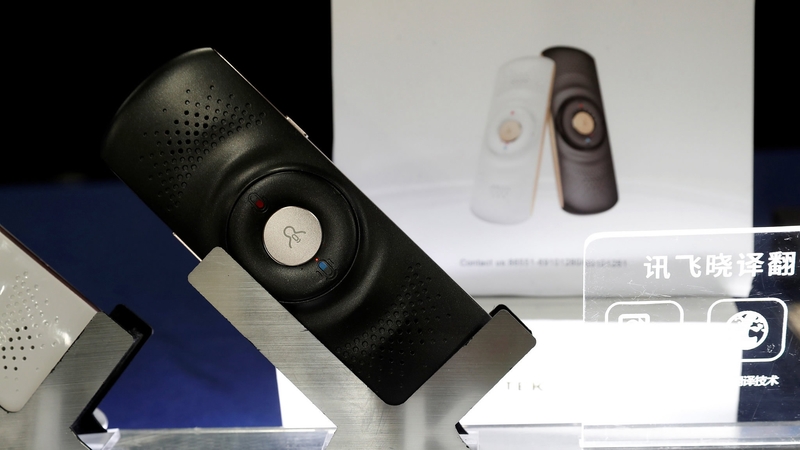 It is produced by iFlytek, a Chinese information technology company. After using it for a while, CGTN’s reporter Yang Chengxi said it could accurately translate over 80 percent of simple sentences and even some slang terms. “Although it is not 100 percent accurate now, I will not be surprised if some professional translators were replaced by it in the future,” he added. The translation device’s core technology is AI-driven speech and text recognition, a field where China has been playing a leading role. Currently, the technology is mature enough to be used in a real-world setting. School teachers in Hangzhou, capital of Zhejiang Province in eastern China, even use it to grade exam papers, and some doctors are using it to dictate prescriptions to computers. I read the title and actually thought that "aliens" refers to extraterrestial aliens, which surely would have better luck understanding the language of our computers and other gadgets than human languages. but I believe when it comes to the face-to-face communication .. I guess it's would be inconvenient to hold this on hand and waiting for reply .. I'll just use my wife. Not as cheap but more reliable. I got to know a Chinese who is completely English illiterate, but he travelled alone in India and survived well there by the aid of translation app of his smartphone a few years ago. That 'aliens' must have been translated by this latest gadget, to mean 'foreigners', a much more polite term than aliens! !